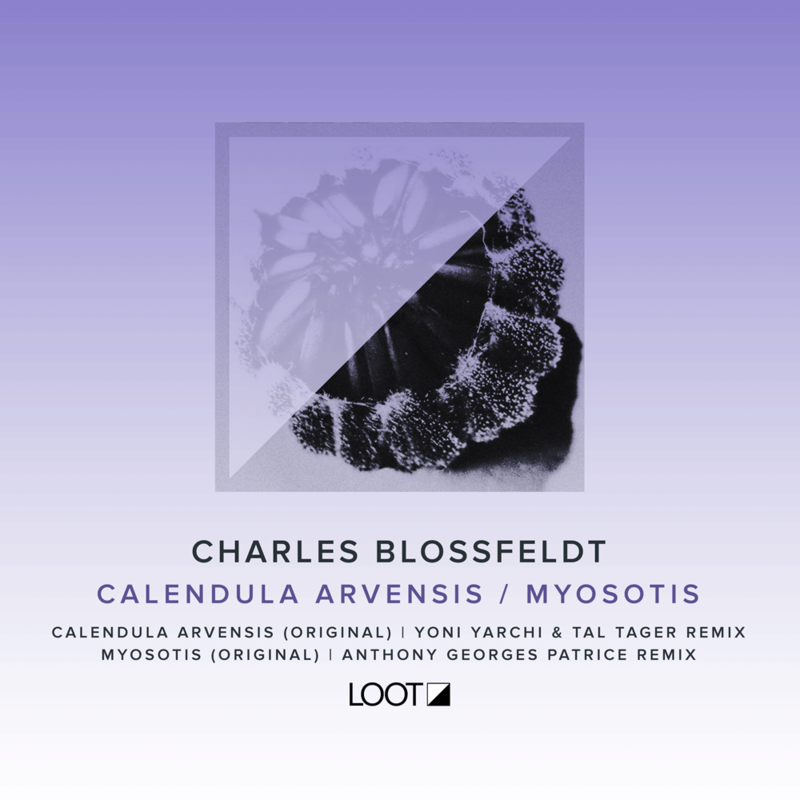 The talented Charles Blossfeldt returns to Loot Recordings with his signature sound of organic minimal house and deep techno. Delivering two tracks that combine the dance floor with a haunting analog melody, the package also includes remixes by Yoni Yarchi & Tal Tager and Anthony Georges Patrice. The title track ‘Calendula Arvensis’ is eight minutes of melodramatic techno with sweeping synths and brooding bass. Dancing in the mid-ground are curious melodies that are interwoven throughout the track and create a sense of drama and menace. The remix from Yoni Yarchi & Tal Tager is a driving and euphoric track with loose percussion and sci-fi synths that’s stunningly beautiful and organic. ‘Myosotis’ is an attention grabbing affair, blending turbulent synths and chaotic drums together with the emotive sounds of acoustic guitar melodies that captivate the listener. Anthony Georges Patrice delivers a deep techno version that’s trance inducing and intense, yet comforting with its lingering pads, celestial chords and heavenly ambiance.